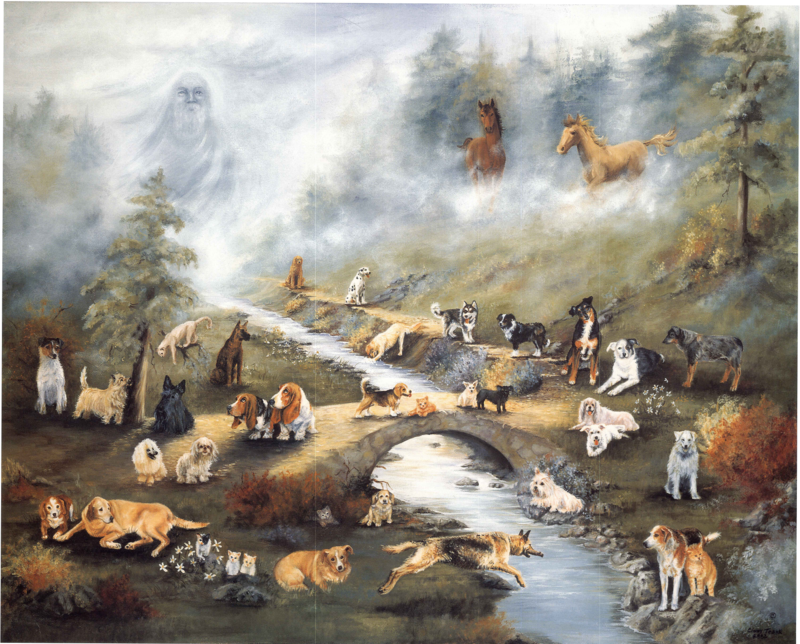 The Rainbow Bridge reading or poem is often used in literature, cards and artwork to ease heartache of a pet parent. The author is unknown but much appreciated for putting into words our feelings. All the animals that had been ill and old are restored to health and vigor. and when you and your special friend finally meet, you cling together in joyous reunion, never to be parted again. This print of “The Rainbow Bridge” is available for sale on our websites www.DeathofmyPet.com and www.AnimalHumanConnection.com A portion of the proceeds go to support local animal shelters.